China has been helping Egypt in many fields and China-Egypt cooperation has followed a win-win strategy, said a senior Egyptian banker. "China was selected on the basis of the deeply-entrenched bilateral relations between Egypt and China ... China can export its experience to us in the fields of business, finance, industry, construction and infrastructure," Mohamed al-Etreby, chairman of Banque Misr, Egypt's second largest bank, told Xinhua in a recent interview. Al-Etreby, who will attend the Forum on China-Africa Cooperation (FOCAC) summit in Beijing in September, said his bank has a strong relationship with Chinese banks, mainly China Development Bank (CDB), stressing that their cooperation has been "fruitful." "The CDB provided us with two loans; one with 100 million U.S. dollars for small- and medium-size enterprises (SMEs). This is very important for our country as SMEs help us create jobs and encourage people to have their own business," al-Etreby said. He pointed out that his bank signed another 500-million-U.S.-dollar loan agreement with CDB for large corporate. Egypt is ranked the third biggest African trading partner with China, since the trade volume between the two countries was registered at 10.87 billion U.S. dollars in 2017. Al-Etreby said that as part of its expansion strategy in new international markets, Banque Misr will open a representative office in Beijing, after it opened one in Guangzhou last year. 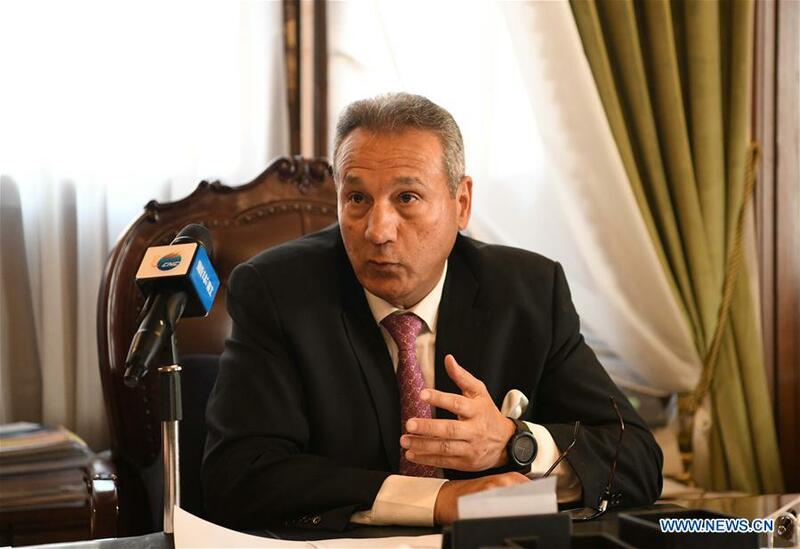 Speaking about the Belt and Road Initiative, the chairman of Egypt's oldest bank said it is important for both Egypt and China to strengthen the already strong ties. "The initiative will also strengthen cooperation between Africa and China ... Egypt must play a key role in implementing this great initiative," he emphasized. 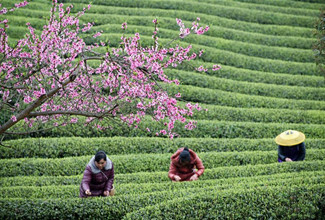 The initiative, proposed by Chinese President Xi Jinping in 2013, aims to build a trade and infrastructure network that connects Asia with Africa and Europe along the ancient Silk Road trade routes to seek common development and prosperity. He also highlighted the currency swap deal signed between the Central Bank of Egypt (CBE) and the People's Bank of China in 2016 for about 2.62 billion dollars, saying it has bolstered economic activities in the North African country. "The deal was very good for Egypt, as it has enhanced the country's foreign currency reserves which reached almost 44 billion U.S. dollars," he said. "Part of this amount came from the deal that was signed between the two banks." Since late 2016, Egypt has been going through a strict three-year economic reform program, starting with local currency floatation to contain dollar shortage followed by austerity measures, energy subsidy cuts and tax increases. The liberalization of the Egyptian pound's exchange rate encouraged the International Monetary Fund (IMF) to support Egypt's economic reform plan with a 12-billion-dollar loan, two thirds of which have already been delivered to the North African country. "Over the past period, all banks were short in foreign currency. Now (the foreign currency of) Egypt's interbank system has climbed to more than 20 billion U.S. dollars since the decision to float the local currency," he explained. Al-Etreby added that 22 percent of overseas hot money now comes from foreign investors investing in treasury bills and stock markets. Egypt is moving on the right track, as the country's rating has been upgraded by international rating agencies such as Standard & Poor's, al-Etreby said.